Since uncovering the double CD re-issue of ‘Liberty Belle and the Black Diamond Express’ in York the other week, I’ve been on a bit of a Go-Betweens kick, particularly the earlier albums. 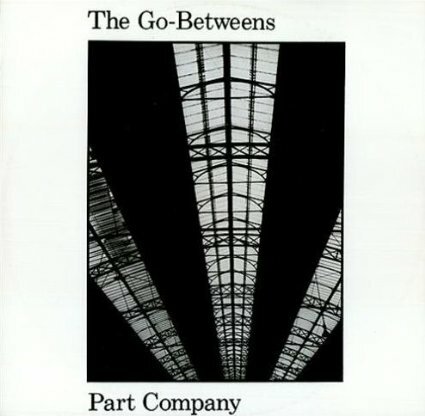 The first Go-Betweens record I ever bought was the 7″ of ‘Part Company’. And for all the great songs I’ve heard since, I still think ‘Part Company’ is their best song. ‘Part Company’ very much reminds me of a time when I was on the dole in the mid 80s and the highlight of the week was a trip to Stirling to pick up the latest ‘Melody Maker’ and visit a small indie record shop (wish I could remember the name) in the Stirling Arcade. In fact I actually applied for a job in there but lost out to someone with more experience. And that was as close as I ever came to working in a record shop! I’ve always been a sucker for The Go-Betweens and my favourite song isn’t a single but ‘Twin Layers Of Lightning’ from Liberty Belle which also sums up a point in the latter half of the 80s when I was on the dole. The album is absolutely perfect and this song is a great rumination on the clash between delusions of (faded) glamour and mystique and the shabby reality of life. Romantic, doomed and slightly grubby with a sense of drama. All things I aspired to but couldn’t reach. That said, I love most of their songs and the collection 1978-1990 was one of those rare albums I bought on cassette basically so I could play it over and over on my walkman. Wonderful band. My favorite is Bye Bye Pride. Such a simple chord structure, but beautiful words and beautiful oboe.